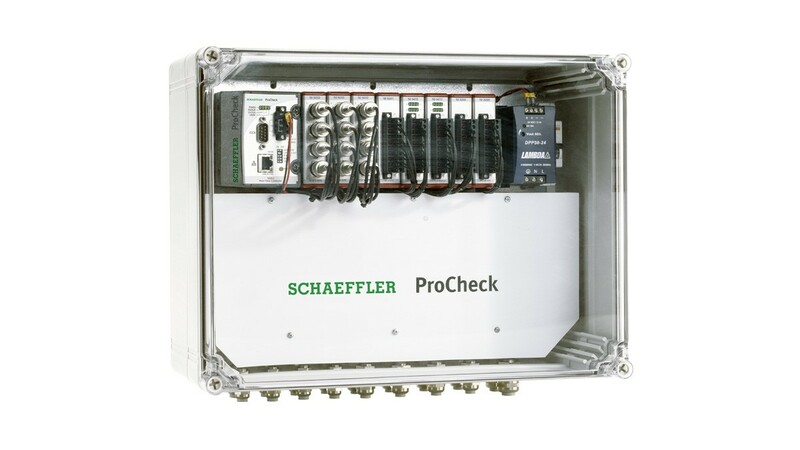 The ProCheck from Schaeffler is a flexible online monitoring system. Its purpose is to prevent unplanned downtimes and control quality. The system offers a high level of functionality and is available in different versions with 8 to 16 channels. 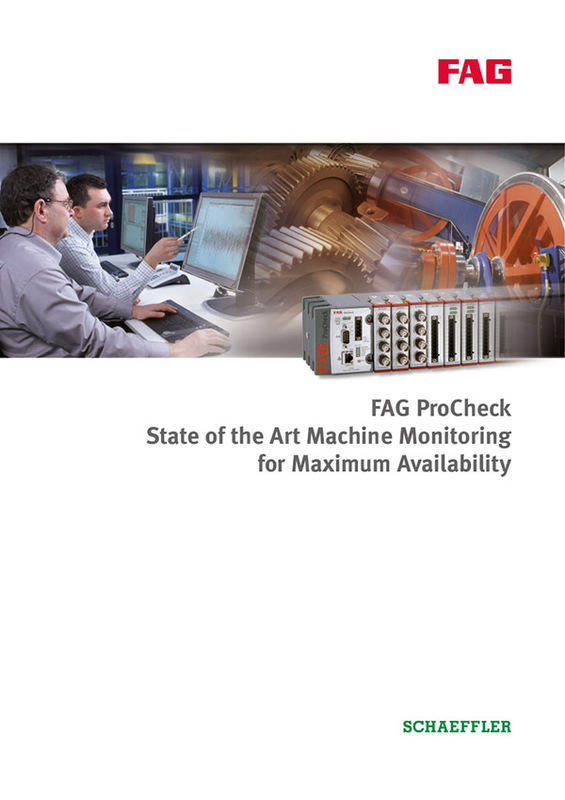 The ProCheck continuously displays data on vibration, temperature and other process parameters and subsequently carries out evaluation of this data. As a result, incipient damage and its causes can be detected at a very early stage and the appropriate countermeasures can be introduced in good time. This considerably reduces operating costs. The ProCheck also provides the possibility of correlating a large number of analog and digital input and output signals to the vibration data. These channels also allow simple communication with higher-level systems such as process control systems. 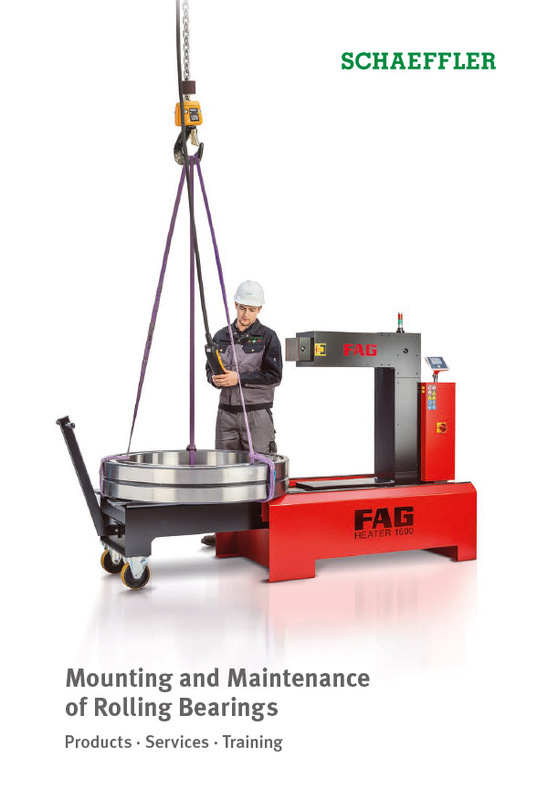 Due to its extremely robust and compact design, this system is ideally suited for use in almost all industrial segments. The system can be used in steelworks, paper machinery, cement plants or in the oil and gas industry. Defects and damage can be detected on machinery without the need for a diagnosis expert on site. The data can be transferred to other locations by remote access and analyzed there by the Schaeffler vibration experts, for example. An explosion-protected version of the ProCheck is available upon request. In this version, a special pressure-encapsulated housing prevents the system from coming into contact with an explosive atmosphere. This is because wherever flammable gases, vapors, fluids or dust occur, the presence of oxygen and an ignition source can rapidly cause an explosion. The display ─ which is individually tailored to the customer's requirements ─ provides a user interface that allows a rapid overview of the condition of the plant. Depending on the complexity of the plant, this display can be arranged on several levels.